In July we witnessed important milestones for the defence and security agenda. In the UK, the findings of the Chilcot Iraq Inquiry were finally published, and RUSI experts provided expert commentary to the media, and hosted a large half-day conference. 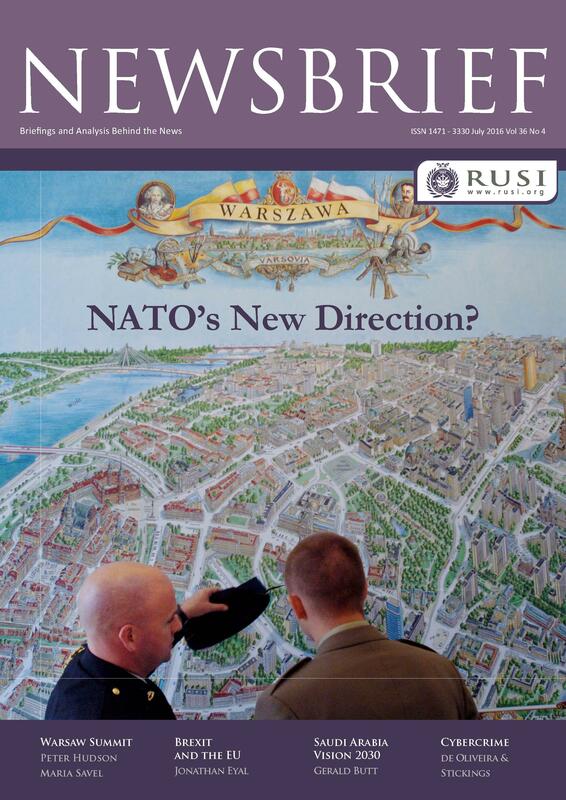 We will be publishing reflective analysis in the RUSI Journal in the coming months. Like many others, we were surprised by the rapid political changes in this country in mid-July. As Theresa May guides the country towards Brexit in the coming months, we look forward to participating in the national conversation (Mrs May has been an occasional visitor to RUSI, e.g., in 2014, she announced a new policy on counter-terrorism and extremism in a speech at RUSI). One of the first acts of Mrs May’s government was to put before the House of Commons the renewal of the UK’s Trident nuclear weapons system. RUSI published a paper providing a systematic analysis of the nuclear threats that the UK faces and how these are likely to evolve in the coming decades. We also published a paper unpacking and demystifying the cyber-challenge to nuclear weapons. This month, several of our senior colleagues attended the NATO Summit in Warsaw. RUSI published a briefing highlighting how Russia’s armed forces are now gaining an offensive-oriented structure, with capabilities tailored for large-scale war, instead of being primarily structured for defensive operations (in case of a hypothetical large-scale military conflict). After the summit, the UK’s Ambassador to NATO, Sir Adam Thomson, briefed RUSI members on its outcome and the year ahead for the Atlantic Alliance. Sadly, more innocent lives have been lost following recent terrorist attacks in France and Germany. RUSI’s researchers have been providing expert insight into why these attacks are occurring and how they might be prevented in the future. This week RUSI has launched the website of the Strategic Hub on Organised Crime Research. Supported by Research Council UK’s Partnership for Conflict, Crime and Security Research, the hub brings together academic researchers, policy-makers and practitioners to strengthen the operational response and the strategic policy framework related to organized crime. At the European Parliament, RUSI’s Centre for Financial Crime and Security Studies team briefed security officials and members of the European Parliament on the EU’s Action Plan for countering the fight against terrorist financing. Last week our Chairman, Lord Hague, presented the Institute’s annual report at RUSI’s 185th Annual General Meeting (AGM). RUSI has had another strong year offering security expertise and analysis, and we are undertaking a careful and targeted expansion of our research agenda so that the Institute remains at the forefront of think tanks in world-leading research. The annual report was approved by the AGM, and I will be sharing the full report next month. RUSI also interviewed Allied Air Commander General Frank Gorenc on the importance of air power to the alliance. RUSI’s research embodies an ethos of quality and objectivity. Through its convening power and membership, RUSI brings together a diverse range of leaders from the public and private sectors to tackle national and global concerns. Join now. RUSI is seeking to appoint a Research Analyst, a Project Officer, and a Database Manager. To see the vacancies, click here. RUSI held a conference exploring the findings of the Iraq Inquiry. The opening session is now available to watch on our website, and members will be able to watch the full conference here. A Coup to End Coups in Turkey? “It is Nato's largest continental army in an age of Russian revanchism; a powerful force in the Syrian civil war; and at the crux of Europe's migrant crisis. It is therefore likely that, had last Friday's plotters succeeded in ousting Recep Tayyip Erdogan, Western countries would have come to terms with the new regime, much as they did with Pakistan's junta after 1999 and Egypt's after 2013." 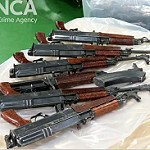 "This isn’t a note of triumphalism – there are very good reasons why the UK is safer from upheaval than most parts of the Arab world. 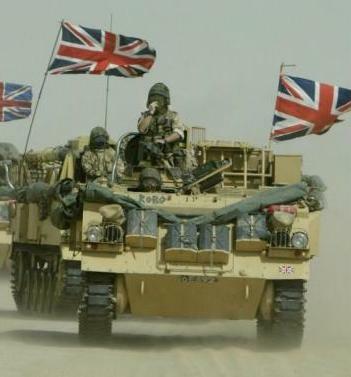 Indeed, the UK itself has often been a reason why parts of the Arab world are less safe than they might otherwise be." Nonetheless, the Chilcot Committee report, released in London yesterday, isn’t wasted energy as it dispels some of the more lurid conspiracy theories surrounding the Iraq war, and provides a dispassionate and astute narrative of a military campaign which drew in many other nations and ended up being controversial in all of them.